Our Singapore legends, the icons and names that strike a common bond and sharing with us Singaporeans. The mythical Merlion, the explorer Prince Sang Nila Utama and the filial Princess Radin Mas. 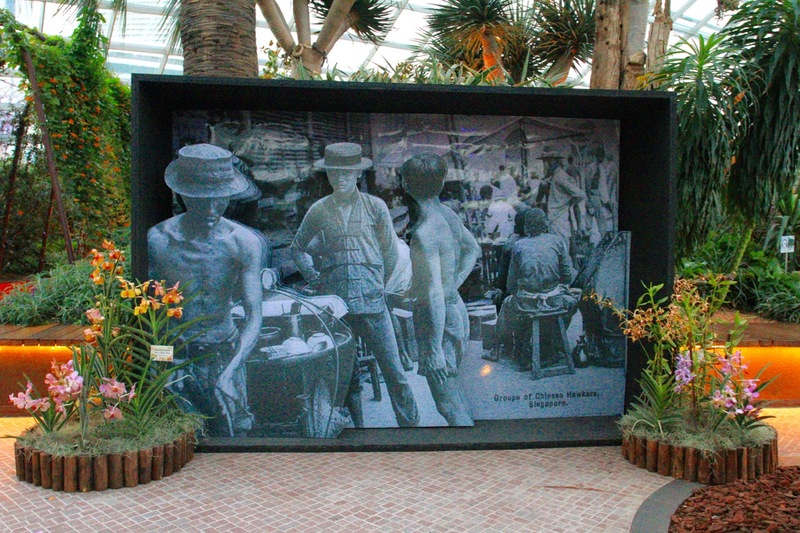 These are just part of the 10 Legends brought to life in “Singapore Stories”, along with the help of of more than 8,000 beautiful and gorgeous orchids and plants. At Gardens By The Bay, you can embark on a journey to discover, learn and share “From Tales to Legends: Discover Singapore Stories”. As part of Singapore’s Golden Jubilee Celebrations, “Singapore Stories” is one of the highlights of the SG50 celebrations happening at Gardens By The Bay. 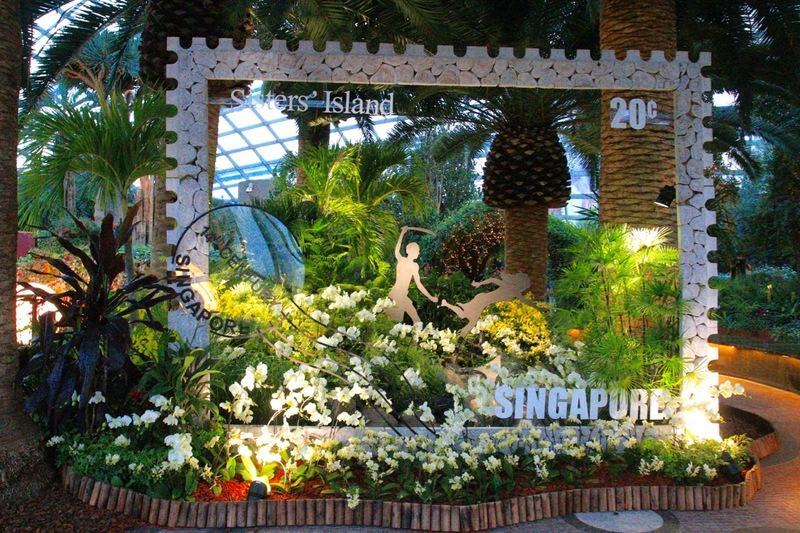 The “Singapore Stories” are brought to life inside the Flower Dome, accompanied by more than 8,000 beautiful, colourful and gorgeous orchids and plants along with intricately-carved wooden sculptures and structures. At each local legends display, you can learn more about them and admire the beauty of the flowers and plants that surrounds them. 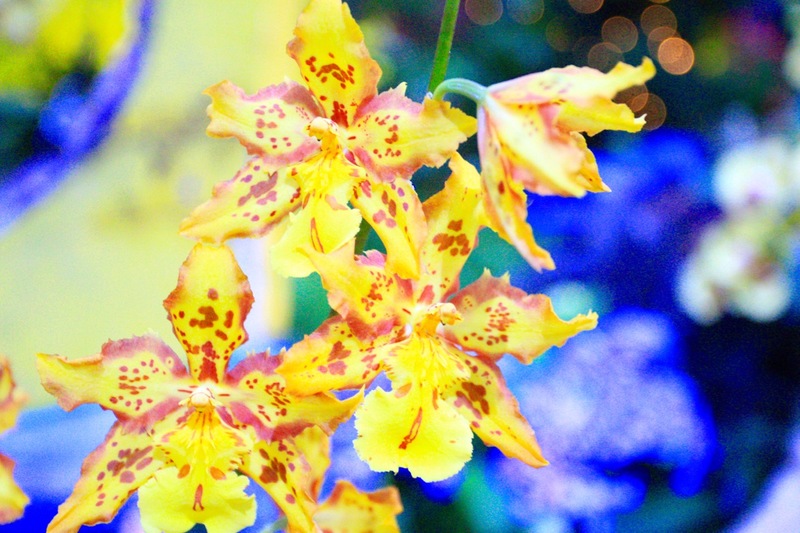 Come on down to the Flower Dome at Gardens By The Bay and visit them! 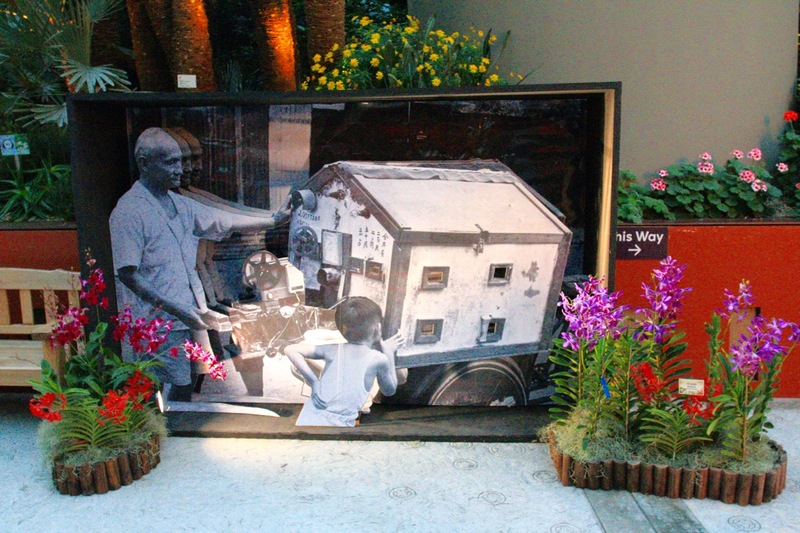 When you are inside the Flower Dome, visiting “Singapore Stories”, keep a lookout for scenes from the past, a walk down memory lane. Those scenes pay tribute to the unsung heroes who helped to build Singapore. 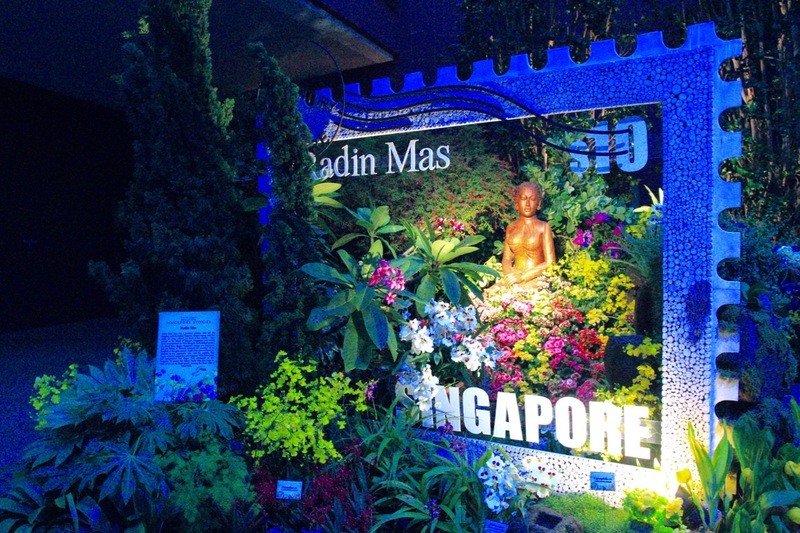 The floral display “From Tales to Legends: Discover Singapore Stories” is now on at the Flower Dome until Sunday 13th September 2015 from 9am to 9pm (extended until 10pm on National Day 9th August 2015). 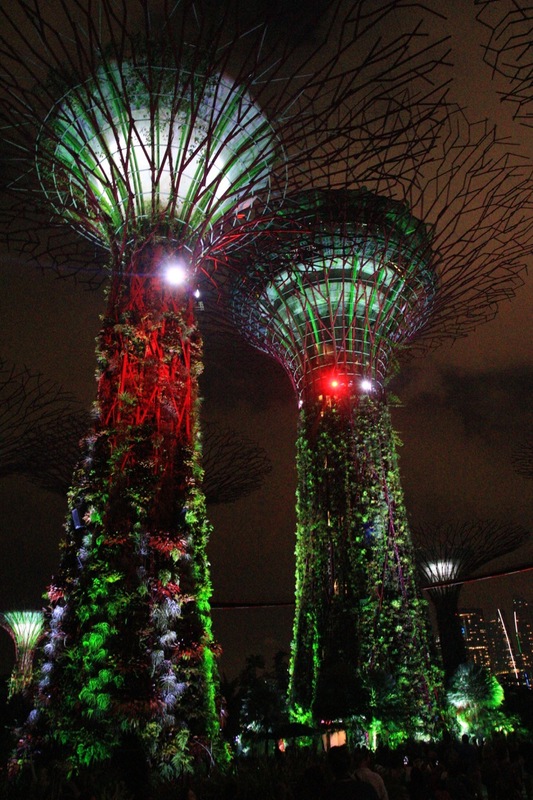 The Supertrees, an iconic feature of Gardens By The Bay, will be lighted up with accompanying music and laser imagery. At the Supertree Grove, it’s a crowd favourite to watch the lightshow display and the Garden Rhapsody promises to capture your eyes and ears, the lights and the music. Singapore is going to celebrate her Golden Jubilee celebrations on 9th August 2015. I had been photographing their rehearsals for the past 7 rehearsals and Gardens By The Bay is an excellent vantage point to catch the big and spectacular fireworks and RSAF SG50 aerial displays on 9th August 2015! 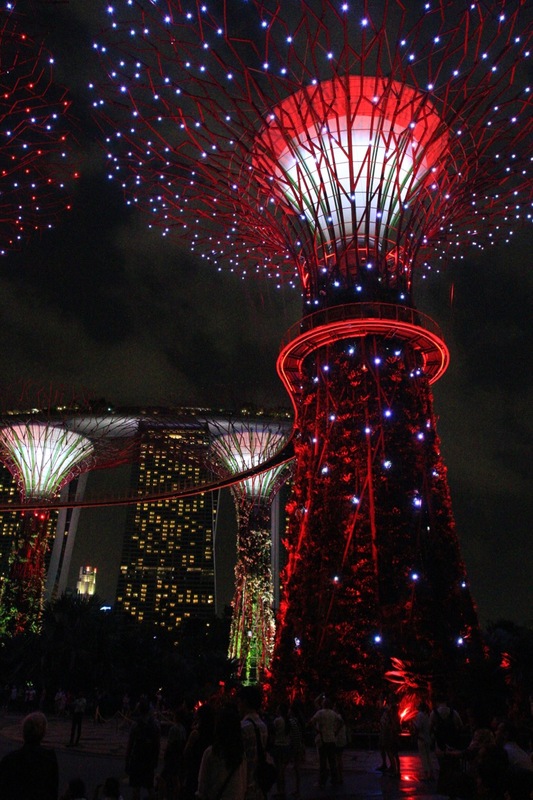 You can enjoy your dinner, relax at Satay By The Bay before heading down to Supertree Grove to watch and enjoy the Garden Rhapsody – SG50 Edition. Thank you Gardens By The Bay for hosting me and bringing us around to discover Singapore Legends!